At JD Williams we make sure all of our clothing fits to flatter, and we fit all our garments on models in a variety of sizes to ensure our pieces make you look and feel fantastic. We won’t compromise on our commitment to providing stylish, trend-aware fashion for women of all shapes and sizes. Proud to lead the way for plus-size fashion, we’re dedicated to quality, value for money and excellent customer care. From young to old, we offer something for everyone and embrace and celebrate the individuality of our customers. 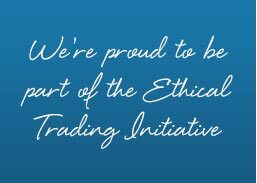 We’re proud to be part of the ethical trading initiative, which looks out for those who make our clothes and helps improve their working conditions. Are you on the list? 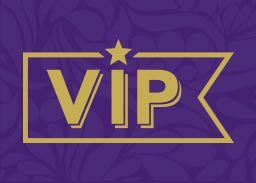 Our exclusive VIP club is available to the top tier of our customers, offering exclusive benefits, treats, competitions and an VIP-only online area. Spread the cost with our personal account, designed to help you choose the payment option to suit you. J D Williams & Company Limited Registered office: Griffin House, 40 Lever Street, Manchester, M60 6ES. Registered in England. J D Williams & Company Limited is authorised and regulated by the Financial Conduct Authority. Firm Reference Number: 311618. Return Receipts +Don’t forget your receipt! If your search finds some appropriate items their pictures will be displayed for you to browse through. When you find an item you like, click on it for more details. The Quick Order Form is the best facility to use if you have a shopping list of item numbers that you want to order. Simply go to the form (using the link at the bottom of every page), enter up to 9 item numbers in the boxes provided, then click 'Continue'. The items you have requested will be displayed in a list. Select the size, colour and quantities that you want for each item. If you have changed your mind about an item, remove the item by clicking the ‘remove’ box and this item will not be included in your order. 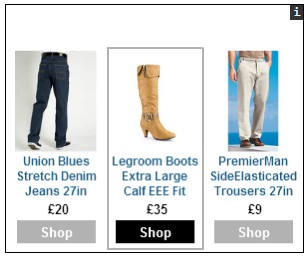 When you are happy with your selections, click on one of the 'Add to Bag' buttons at the bottom of the page. You will be informed if any of your items are out of stock or will take longer than normal to be delivered, and will be given the chance to remove these items from your order. Click ‘go to checkout’ to place your order or ‘continue shopping’ if you wish to browse or search for more items. All of the items in the current catalogue, plus many more, can be seen by browsing through the categories near the top of each page. Keep selecting the category or sub-category that interests you most until you reach a page which displays pictures of the items in your chosen category. The number of items in the list will be shown in the top left corner of the page and you can scroll through the pages in the list using the arrow buttons in the corner. When you find an item you like, click on it for more details. Many visitors to this website have requested a catalogue or ordered from J D Williams before by phone or post. If you are one such visitor, then you will already have a J D Williams account that you can use on this website. We only require a few additional details from you during your first visit to set your account up for online access. To provide these details, click the 'sign in' link at the top of any page, and then select ‘new online customer’ registration. You will be asked for your account number, surname and postcode so that we can be sure we find the correct account. Then we will ask you for a password and email address which are essential for shopping online. You only need to register your account in this way once. On all future visits, you can sign in using the ‘sign in’ section providing your account number and password. If you are new to shopping with J D Williams, then you will need to set up an account with us. You can use this account each time you place an order, which will mean you only ever have to enter your details once, and you can view a history of your transactions with us. Most account holders choose to set up a 'credit account' when they register. This account allows you to order goods and view them at home for 14 days before paying for them. Please note, we do reserve the right to refuse credit - if this is the case, you will be asked to provide credit or debit card details when you get to the checkout. For more details of our credit account facility, see the Personal Account section on the main Help page. You should read the Terms & Conditions of the account before clicking 'Accept' or 'Decline' to indicate whether you are happy to continue setting up a credit account. If you would prefer not to have a credit account as you are happy to pay in full by credit or debit card at the time of each order, then you should click decline at this point in the process. You will then be offered the opportunity to set up a non-credit account. When you register an account on the website or when you are signing in, you are given the opportunity to select the 'remember me' option. This means that we will place a cookie (a small document) on your computer, which will allow us to automatically recognise you when you next return to this website. You will then be able to use some parts of the site without having to enter your account number and password. For example, you will be able to place an order as long as you want to send it to your registered address by standard delivery and pay for it on customer account. You cannot, however, access "My Account" or send orders to other addresses unless you sign in using your password. During Checkout, your delivery address will automatically select your billing address. You can change your delivery address to another saved address, or you can also enter a new delivery address by selecting the 'Add New Delivery Address' option. This option will be added to your Address Book and will be available for your future visits. On the Delivery Options page, the delivery option for your order is automatically set to standard, you can however, change the delivery options by selecting the relevant delivery method. Please see our delivery policy for details of when you can expect delivery and delivery charges. If you have a credit account, this payment method will be selected when you first arrive on the 'Pay and Complete' page. You should ensure that your order will not exceed your available credit, as we may cancel such orders. To discuss extending your credit limit, please call 0871 231 2000 (calls cost 13p per minute plus your phone company’s access charge) email us. If you do not have a credit account, the 'Credit or Debit card' option will be selected on the 'Pay & Complete' page. To pay for your order by credit or debit card, select the 'Credit or Debit Card' option to enter your card details. You will also have the option to save the card for future use - be assured that these details are stored securely and your full card number will never be displayed on the screen or in any email from us. If you already have any saved cards, these will be displayed on selecting the 'Credit or Debit Card' option. You can select the saved card to pay for your order by choosing the corresponding 'Use this Card' button. New cards can be added by selecting the 'Add New Card' button. Once you are happy with the items in your bag, and your delivery and payment options, you are ready to submit your order. You do this by clicking on the 'Place Your Order' button on the last page of the Checkout process. You should only press this button once even though it may take some time for the confirmation screen to appear. If you have your courier's contact number, you can call your courier directly or arrange a return online by signing in to your account and selecting the Arrange a Return link from the My Account page. Alternatively, you can call us on our Enquiry Line. You can then make a payment into your account by a variety of methods (see our payment options page for full details), the easiest of which is via this website. We regret that J D Williams cannot accept direct transfers from your bank account to ours (via online banking or otherwise). Purchased items are only charged to your account when they are despatched (so your balance will not include them until this time). However, the value of these items will be deducted from your available credit as soon as you have ordered them, to ensure that you do not exceed your credit limit. To use this website to make a payment into your account, go to 'Your Account' and select 'Account Balance and Payment'. Your balance will be displayed and you will be asked to select whether you are using a credit or debit card. Please enter all the required details carefully - you will be asked to confirm the amount that you have entered to ensure that you have not made a mistake. The card details and amount that you enter will then be sent via a secure link to your card provider who will authorise the transaction. A confirmation screen will be displayed. If there has been any delay in the response from your card provider, the confirmation screen will explain that we will keep trying to contact them and will update your balance once the payment has been authorised (this can take up to 3 days). Please be assured that it is completely safe to pay over the internet with your credit or debit card, and J D Williams guarantees that. You can change your contact details and password easily online. Simply go to 'Your Account' and select the section, which holds the details you want to change. Once you have entered the new details and submitted them, the changes will take effect immediately. To see all orders, payments and returns listed on your account, go to 'Your Account' and click on the 'Account Transactions' link. This page will display the last 6 months of transactions made on your account. Please note that this page may not exactly match your statement. It may include transactions made after your last statement was sent, exclude unusual transactions such as ad hoc adjustments, and does not show the transactions in a way which gives a 'running balance'. Most of our items will be delivered to you within 3 to 5 working days (this excludes weekends). Some items may take a little longer to arrive, especially those that come directly from the supplier (you would have been informed this when you placed your order). If you have a balance outstanding on your Personal Account, you will receive a statement through the post every 28 days. Your minimum payment is shown on your statement along with the payment due date. You can choose to pay the minimum payment on your account, or you can pay your balance in full. The choice is entirely yours. You can check your current balance anytime by clicking on Your Account and then choosing the option of Account balance and Payment. You can check if we have received your returns online with Your Account services. If you click on Your Account you will see the option Account transactions, just click on this option and you will be able to view your received returns in seconds. Please allow up to 14 days for your returns to show. We are able to deliver goods to anywhere in the UK. Unfortunately we cannot deliver to addresses outside of the UK or to BFPO addresses. Providing your order has not been prepared for despatch you can cancel your order by contacting us or calling our customer services on 0345 071 9018. Can I use my own packaging to return items? Yes you can use your own packaging to return items. Please ensure you provide us with your name, address, account number, the reason why you are returning the item and the receipt. Please keep a copy of the receipt for your own records. You can request a returns label from us. You can pay your account online, over the phone or by post. To pay online, simply sign in to your account on the website and select the ’Your Account’ link, then click ‘make a payment’. You can then pay online instantly using a variety of debit and credit card. Shopping online with us is safe, and we take the utmost care to ensure your personal details remain private. When you enter the checkout process, the sign-in process, or the account management area, you are taken through our secure server. Our secure server encrypts all of your personal information including your credit/debit card number, account number, name and address, and all other personal information, so that it cannot be accessed or read as the information travels over the Internet. You can therefore remain assured that shopping with us online is safe and secure. Our site is also ISIS (Internet Shopping Is Safe) verified by the Interactive Media Retail Group (IMRG). If you prefer not to send your credit or debit card number over the Internet, simply call us on 0871 231 2000 (Calls cost 13p per minute plus your phone company's access charge) or contact us for more information. If you no longer wish to receive details of our special offers and promotions, there is an option to unsubscribe at the bottom of every promotional email you receive from us. Why can’t I find an item number? From time to time certain items may sell out, and in these cases we will remove them from the websites. However, if we receive new stocks of the item, we will make them available again, so it can be worthwhile searching for the item again at a later date. On the rare occasions that you may experience a problem when using the website, please contact us with as much detail of the problem as you can - any error messages that were displayed, as well as your browser type and version, are especially useful and will help us investigate the problem quicker. We will then contact you to advise you of our findings and how to overcome the problem. Why won’t the website accept my address? Please double check the details you have entered are correct, especially that the postcode and the street name have been entered correctly. If you still have difficulties, please contact us with your account number and address details and we will be happy to make the changes for you. What happens if I forget my password or account number? If you forget your password or account number, you can request a reminder of these details to be emailed to you. To do this, click the ’Sign in’ link to go to the sign in page. Underneath the normal sign in area, there are links titled ’Forgotten Account Number’ and ’Forgotten Password’. Click the relevant link, fill in the details on the next page and click the ’Sign In’ button. You will then be signed in to the site (with restricted access to account management areas of the site) and we will email you a reminder. Do you have a promotional code you want to use? It is really easy. When you are on the ‘Shopping Bag’ page, promotional codes can be entered in the ‘Add Promotional Code’ box. Selecting the ‘Apply’ button will present the details of the promotional code. You can then select the ‘Add to Bag’ button to add the discount / free gift to your bag. Your Promotional Code will be four letters followed by a number. The Promotional Code will have an expiry date and can only be used once. Do I have to set up a personal account to shop with JD Williams? In order to place an order with us, or to use the account management features, you will need to sign in to the site. You can either sign in with an existing account if you have one, or you will need to create an account. If you create an account, you can choose to take advantage of our credit facilities in order to spread the cost of the payment for the goods you order. If you prefer, you can choose not to use the credit option and instead pay for your purchases using your credit or debit card as you place your order. If you choose to spread the cost it will cost you more and take you longer to repay what you owe. The "WAS" price shown next to an item on this website is the highest price at which the item has been offered for sale in the last 12 months by us or one of our other brands (details on request). Some items have been offered for sale at a price lower than the "WAS" price during the last 12 months but, unless otherwise indicated, the "NOW" price shown is the lowest price at which the item has been offered by us. Details of intervening prices are available on request. In all cases the "WAS" price will have applied for a continuous period of 28 days or more. Please email Customer Services should you require further information. As a customer you are important to us, and we would like to hear what you think. Whether you would like us to answer a question, offer shopping advice, or simply respond to a comment or suggestion, we are here to help you. But we may have already answered your query in our Help & FAQs section - where you can find a wide range of Frequently Asked Questions and First Visit instructions. Please select the category that best describes your enquiry from the list below. This allows us to make sure your enquiry goes to the correct department and allows us to reply as quickly as possible. You can also email us directly using 'general.enquiries@jdwilliams.co.uk If you have an existing account please include your customer number within your email. For enquiries concerning outstanding orders that you have not yet received. Please provide us with your item number. For delivery times please refer to the delivery terms and conditions. For enquiries concerning unwanted, incomplete or faulty goods that you have received. If part of your order is missing we will check to see if we can deliver the missing item(s). Please provide us with your item number. For enquiries concerning goods you have returned to us. Returned goods can take up to 14 days to appear on your account. If after 14 days returns do not appear on your account, please email us with your order details. Please provide us with your item number. For enquiries concerning your balance, payment, credit issues, your statement, Account Protection Plans or Cover Plan. Minimum payment due when we send a statement every 28 days; the minimum required is the minimum payment. The minimum payment can be found on your paper statement. Your total outstanding balance can be checked anytime on your online account. For enquiries concerning our product range or special offers. Don't forget product details can be found on the website. For any problems you have had with our website, or comments to help us improve it. To help us help you, please complete the form to include: browser and version, item number (if applicable) and details of the error. For any comments that you have relating to our service. For enquiries concerning our policies. Our policies can be found on the terms and conditions page. For enquiries around signing in using your Email Address or Account Number please complete the form and include your Email Address and a brief description of the problem. You don't need to send us your password. If you experience difficulty using our promotional codes, please refer to our Terms and Conditions supplied with the offer. Promotional Codes may not be valid on our branded, electrical or homeware products. If you do require any further assistance, please complete the Contact Us form with as much information as possible. Earn up to £8 per new customer sale with our affiliate programme. We want you to have complete peace of mind when you shop with us. As an accredited retailer we can guarantee that your financial information is always protected. If you're a personal account customer, you can simply log in using your account number or email address, without providing any personal details at all. Rest assured we take security very seriously, so when completing a transaction online with us, you're in good hands.